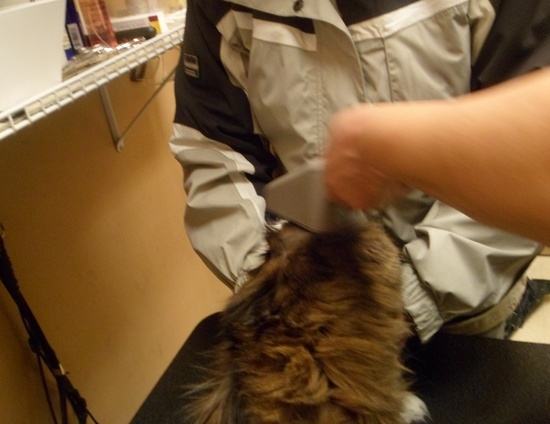 TAGS can microchip your pet for only $30 at various Pet Valu locations. Find out more about microchipping from this blog post or visit our website for microchipping dates. This cat came to get his microchip! First, we make sure he doesn’t already have a microchip. We rub some alcohol in the area where the needle will be inserted. Click on the video to see how fast and painlessly we insert the microchip! It takes no more than eight seconds!